Styled with shiori tank and reign studio bra . 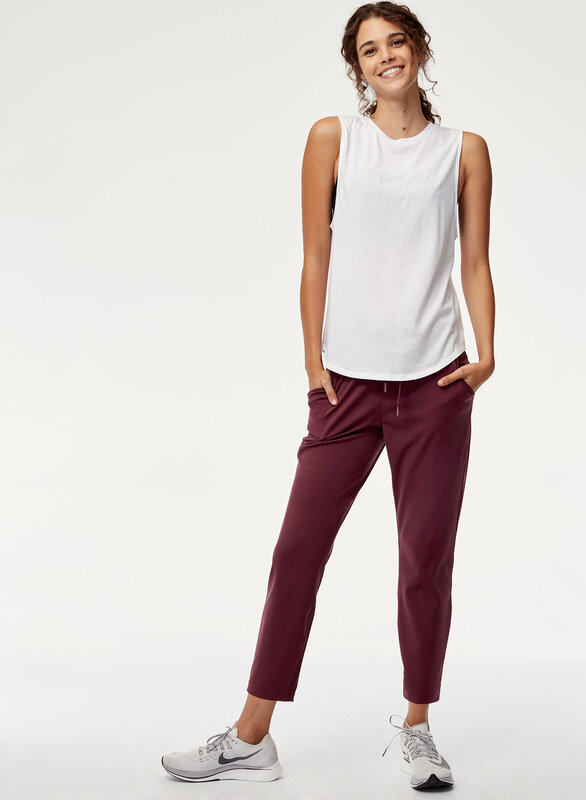 The one pant you can do anything in. It has an updated fit, loses the back pocket for a more streamlined fit and is made of high-stretch, sweat-wicking fabric. Amazing pants!!! They're so comfortable and don't stretch out at all between washes. Love them, they can work as work out pants or I can wear them to work too! Will be getting more of them in other colours!! Ultra confortable. Tissus magnifique et infroissable. 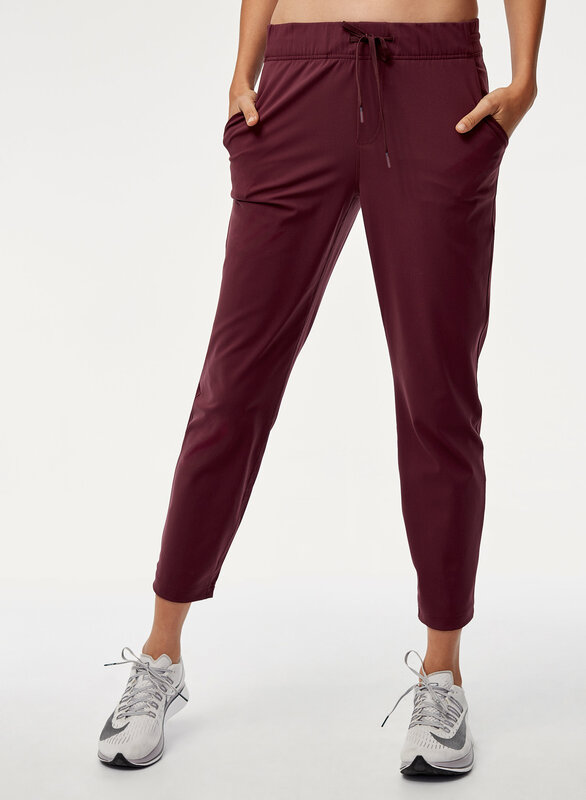 Peuvent servir pour le sport mais je les porte avec de beaux gilet comme pantalon plus chic. Seul hic trop court à mon goût. I like how I can wear them to exercise and also on the street. The fit and length was perfect for my petite statue. Wish there were more color options. My favourite every day goes with everything pants. 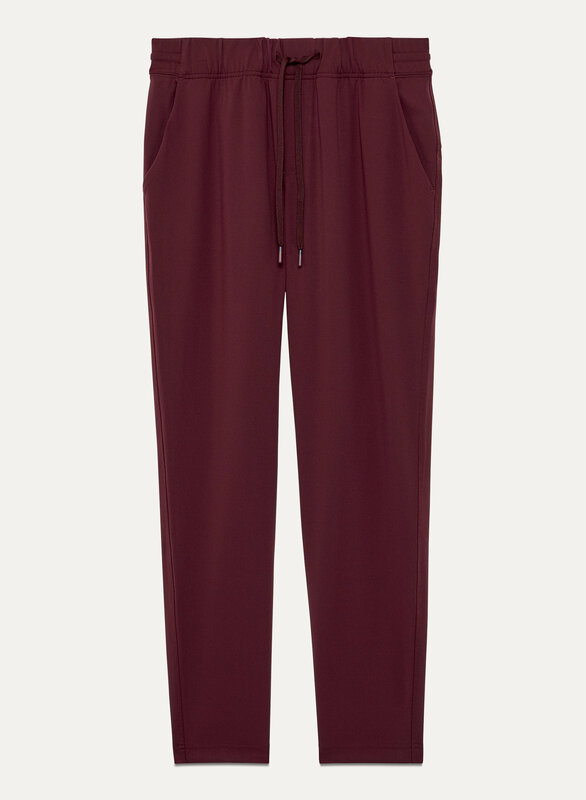 I really like these versatile pant. These pants a very comfortable and easy to care for just throw them into the washer and dryer. No shrinking, pilling and fading. I find the look clean not sloppy as cotton sweatpants. I love them so much I’ve bought four pairs 2 black ones ( one with back pockets and one without), one grey and one burgundy. I've worn them like everyday since I got them. I’ve been living in them since I bought them. 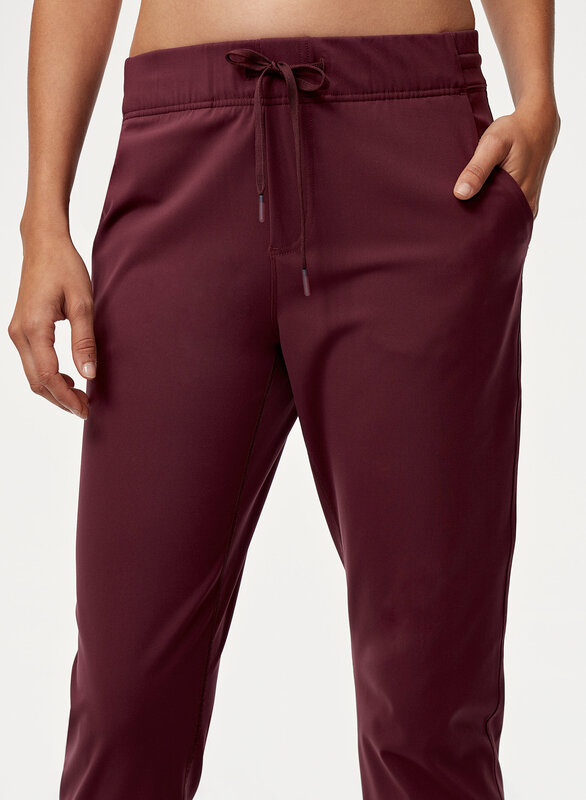 Super comfy, flattering, they look like dress pants with the feel of yoga pants. Mesh pockets allow lots of breathability. These are great everyday pants and you can even dress them up a little bit!